​Most reports state Webber blames his prostate cancer for the failed production. This article states LND was “unable to shake off the stigma of its trouble opening”... we disagree on both fronts. Love Never Dies to close for 4 days for revamp! Webber confirms LND will close for 4 days in November 2010 in order to incorporate new direction from a new creative team. New lyrics are also being introduced. No mention of plot changes. Toronto & Australia Theatre Patrons Next Victims! Webber confirms script will be rewritten for Toronto & Australian productions. Two different creative teams will be hired to spearhead the revamped show. Best production moves to NY. "Lord Bonkers" will NOT bring Love Never Dies to Broadway! The feud between O'Brien/Mitchell and ALW continues while the production fails in London. Trouble at the Coney Island Box Office? 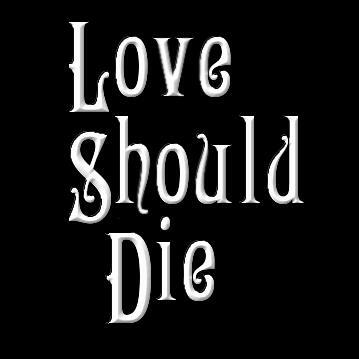 Speculations about Love Never Dies not planning on coming to Broadway for the 2011 season. Webber receives flack for shamelessly advertising! More outcries from the general public upset with the BBC and Webber for advertising LOVE NEVER DIES on public paid TV. Broadway Cast recognize the absurdity of the sequel during a live performance! LND cast upset with pre-opening negative fan buzz! "How can they feel such passionate hatred for something? If they use their resources and energy for something useful, think of what could have happened." Illegally painting the Adelphi Theatre black. Article also mentions LND "opened last month to some of the most sour notices in theatre history." Summer Strallen justifies Meg Giry's toplessness in LOVE NEVER DIES thus: "The boys love it and it gives them a little treat." Media recognizes Phans causing BWAY delay! Media report, "general discontent expressed in the online postings by "Phantom" fans" is causing the delay in the Broadway release of LND. NYTimes speculates reasons behind BWAY LND Delay! ALW "reported feeling well and did not complain of post-treatment problems" last month. NYTimes believes LND is delayed so ALW could overhaul it. It obviously looks as if they know something is a miss. Choreographer Mitchell states, "Now I'm working...on Love Never Dies, which some might say is a step down for me..."
LND "doesn't have any reference to the old phantom of the opera other than the 4 characters." Moments later, he states he didn't use "very much from the old show"... Shall we remind him? 4 characters, the plot references and all those song samples. Beyond that, utterly stand-alone - right?